A host family is one of the most important and influential aspects of a baseball player’s summer league experience. Many of the players on the Saugerties Stallions are in a brand new environment, away from both school and home. The goal of the program is to help players adjust to moving to a new area, assist them as they get acquainted with the Stallions community, and provide a safe and stable living environment. It also provides an opportunity for the community to assist in the development of these players on and off the field. The Stallions organization strongly believes the relationships that are forged between players and their host families will be memorable and will last a lifetime. Host families are asked to provide housing for their assigned player(s) for the duration of their stay in Saugerties. Many players are expected to arrive prior to June 1, though several will join the team later because of their spring team’s playoffs and the College World Series. The Stallions season, including playoffs, should conclude no later than August 15. Host families will receive a stipend per player to help with costs throughout the season. When you become a host family, you’ll be adding a new member to your family, not just taking on a tenant. Stallions players are appreciative of the effort you will be making as a host family and can serve as positive role models for your children. Host families will also receive season tickets for the entire Stallions season. Families are sure to love the excitement and entertainment of Stallions baseball, and the players enjoy seeing their adopted families in the stands. You will also be invited to any host family events the Stallions schedule. The longest lasting benefit of becoming a host family is the bond that will be forged between your family and a Stallions player, the sort of relationship that lasts for years. Players and their host families have been known to keep in contact long after playing careers ended, remaining friends and sharing family milestones. To become a host family, the first step is to determine if you are able to fulfill these host family responsibilities.If there are any questions or doubts, please speak to your family about it and feel free to contact thesaugertiesstallions@gmail.com to discuss the matter. Prospective host families are asked to complete a questionnaire, which will provide the Stallions with a summary and profile of the family and the living environment. 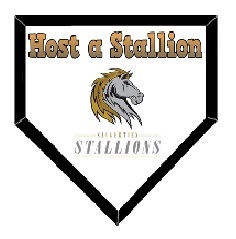 After the questionnaire has been submitted, the Stallions will arrange a meeting to discuss the host family process more in depth and ensure it is a great fit for both your family and our organization. Click Here to download the Host Family Application!